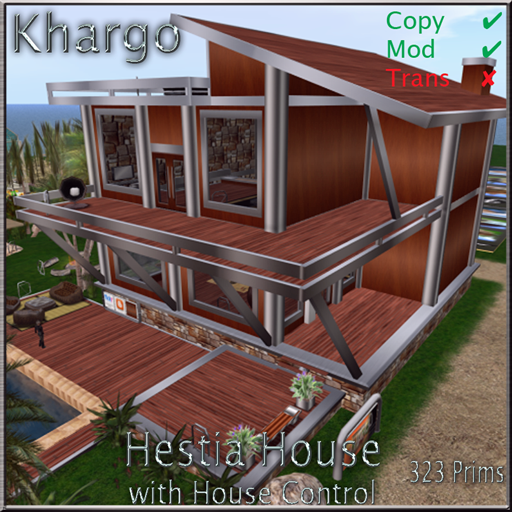 Khargo: Furniture and Design: RFL Home Expo! 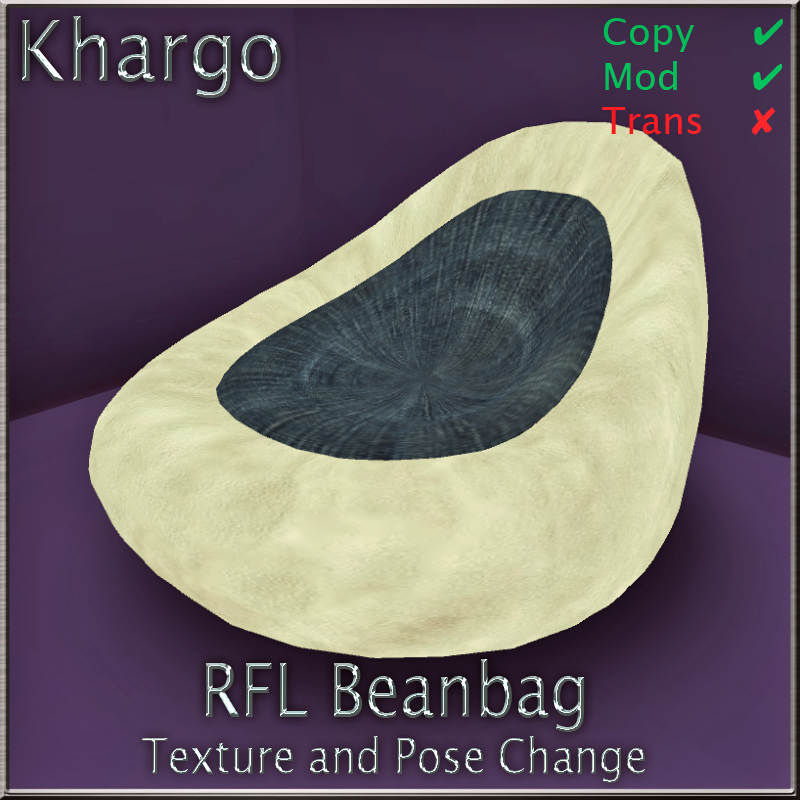 We have 2 RFL items in the vendors: our multi pose, mega textured beanbag which has never been on release before and a special edition RFL Purple Bouncy Jelly Bear with room for 2 people to play on 1 prim! Now onto our NEW RELEASES!!!! Lots of them :) We have our new house - Hestia. 323 prims, 33 x 33 m, copy/mod and comes with a house controller. 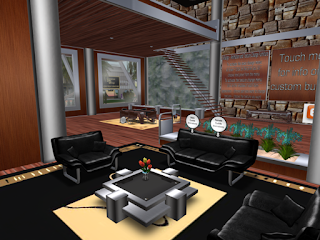 The controller operates the security, windows, fireplace, lamps and radio. 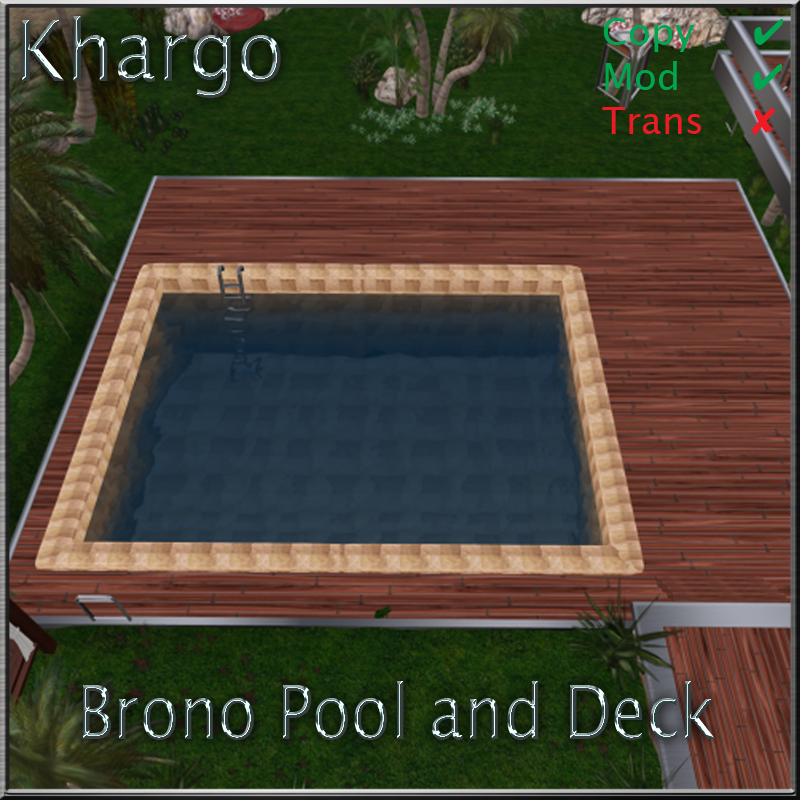 Brono Pool and Deck complements the Hestia house. 49 prims, 30 x 25 m, copy/mod. 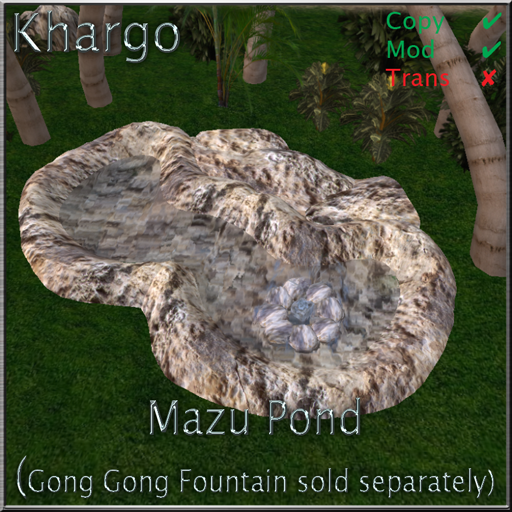 Also comes with a water prim if you cant use Linden water and copiable float ball. Mazu Pond - a calm and tranquil rock pool. 5 or 6 prims depending if you use the water prim or Linden water. 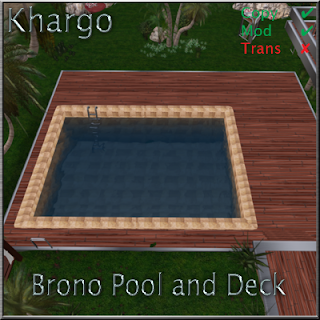 We are also releasing a Fat Pack of all the items we have at the Expo - house, furniture and landscaping. A complete home solution for a 4096 plot at a massive 40% price reduction!!! We were also honoured to be asked to create the main stage for the event!!! The Hathor Stage and Dance Floor spans across 2 sims at the expo.